Clancy Sigal’s fourth novel centers on expatriate Gus Black, a freethinker who moves to England in search of a new life. He absorbs the native culture by plunging into its dark corners. Amid the upheavals, he lands a job at Vogue, consorting with models like Twiggy and Jean Shrimpton, and commences a passionate affair with Rose O’Malley, a brilliant writer loosely based on Sigal’s real-life lover Doris Lessing. 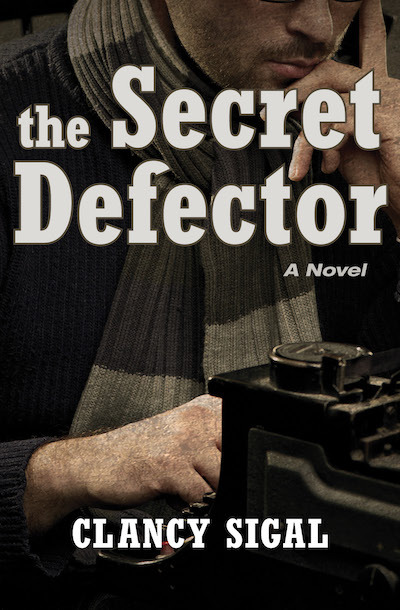 Set in the swinging London of the fifties and sixties, The Secret Defector is a portrait of an American on the loose striving to define himself against an alien yet oddly familiar culture. Sigal’s frequent themes of the working class, the counterculture, and Marxism are in evidence, as is his self-deprecating wit. This quasi-autobiographical novel takes Clancy’s trademark energy to confront the decline of the left and the rise of feminism.